Skilled Joliet aggravated speeding attorney. Speeding is the most common type of traffic violation that occurs. While everyone may receive a speeding ticket at one time or another, aggravated speeding is a more serious matter. Aggravated speeding is a criminal offense, and, if convicted, you will receive harsh penalties. If you have been charged, it is important to talk to a qualified Joliet aggravated speeding attorney as soon as possible. The Joliet aggravated speeding attorneys at Johnson & Johnson, Ltd. are skilled at handling all types of traffic law and criminal matters, including this misdemeanor. Aggravated speeding is a specific charge that occurs when the vehicle is going faster than 25 mph above the posted speed limit. Your Joliet aggravated speeding attorney will explain to you that, in Illinois, aggravated speeding is not simply a traffic offense, but is also a criminal charge. Aggravated speeding may be either a class A or class B misdemeanor. Those traveling at speeds more than 25 miles over the limit but less than 35 miles over the limit are charged with a class B misdemeanor. If you have been speeding at more than 35 mph over the limit, the charge is a class A misdemeanor. This offense is more serious than a simple speeding ticket. For this reason it is best to immediately consult with a qualified Joliet aggravated speeding attorney. As with any charge, those who have a previous conviction for a similar charge could face the harshest penalties. It is in your best interest to defend these charges in court with the help of a capable Joliet aggravated speeding attorney. Aggravated speeding charges require an aggressive Joliet aggravated speeding attorney. Illinois law currently states that when a person is found guilty of aggravated speeding, that person is not eligible for court supervision. This means that the judge does not have the legal authority to lower your penalties to a non-conviction if you are found guilty. That makes it imperative that you fight the charges, which is best done with assistance from a Joliet aggravated speeding attorney. 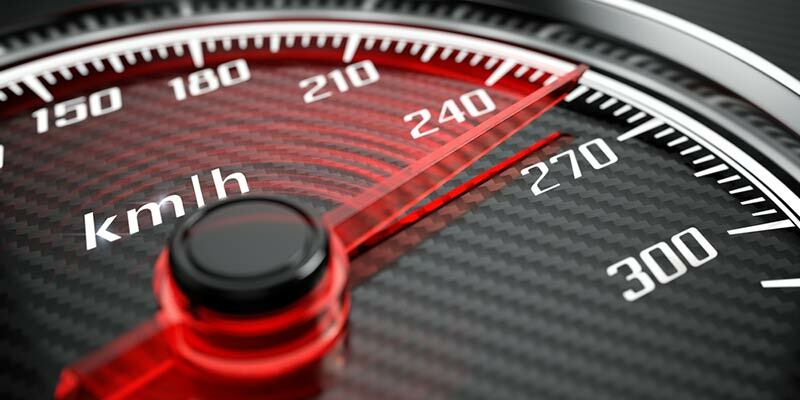 In order to prevail in court you and your Joliet aggravated speeding attorney will need to prove that either the speed was not as high as reported or that the methods used to determine and evaluate speed were not utilized properly. A Joliet aggravated speeding attorney with training and experience knows how to provide the best possible defense to get the outcome you want. What type of equipment was used to measure your speed? Was the equipment used properly? Is the equipment functioning properly? What was the location of the officer when clocking for speed (for example, was there a hill or other obstruction)? What were the traffic conditions at the time? Was the speed limit clearly posted? What time of day did the traffic stop occur? Was the driver shown the actual speed on the radar equipment? These and other questions will help your Joliet aggravated speeding attorney properly defend your case. Additionally, your Joliet aggravated speeding attorney may visit the location where the offense allegedly occurred to take pictures and evaluate the scene. Do not leave your court appearance to chance, choose a reputable Joliet aggravated speeding attorney. Keep in mind that a guilty finding could be devastating for you and your family. You will not get a lighter sentence if this is your first offense of this type. If you have had previous violations, you may likely have your driver’s license suspended or even revoked. You could also spend time in jail and pay fines that you may not be able to afford. Finally, if you are found guilty you will have a record that could prove difficult for your future. Do not wait to seek help. It is important that you talk to a reputable Joliet aggravated speeding attorney as soon as possible after the incident happened. Contact the experienced legal team at Johnson & Johnson, Ltd. to schedule a consultation with a Joliet aggravated speeding attorney.